Whether you’re looking into the Big Island real estate and lifestyle or simply coming for vacation, figuring out the hottest spots for a culinary adventure is surely on everyone’s lists for an unforgettable time. We have put together this month’s prime selections of the most delectable locations to dine at. Dine along the surf and under the Big Island’s beautiful starry night sky when dining at ULU Ocean Grill and Sushi Lounge. Named one of the 100 Most Romantic Restaurants and also one of the 100 Best Al Fresco Dining Restaurants in America by OpenTable, this is an experience you don’t want to miss. Displaying a trendy blend of Hawaiian architecture and modern accents, this is an animated, informal setting where guests are delighted by the natural beauty of Hawaii and flavors of the Pacific. Working with over 160 local farmers and fisherman on the Big Island, the ULU team has become a leader in sustainable dining, excellent for those who seek eco-friendly experiences. The restaurant serves fresh oysters which are sustainably raised in a small lake right on the resort. The Four Seasons Hualalai has truly found a way to lessen humans’ impact on the islands. If you’re looking to live in the Hualalai Resort, you will definitely be pleased with the diverse selection of nearby fine-dining locations such as ULU. This AAA Four Diamond award winning restaurant is a must for anyone visiting the Big Island. The dining experience consists of locally sourced, simple yet exciting fresh flavors of Hawaiian cuisine. People who have visited this spot only have raving reviews of it. “My husband and I ate at Brown’s Beach House at the Fairmont Orchid resort TWICE because we loved it so much. The mai tais are the best on the island and the outdoor setting is gorgeous at sunset. Both nights we dined featured live music. As far as food goes, the prawn summer rolls were a perfect appetizer. I also had the mahi mahi and the crab crusted kampachi – amazing” – Kate Jaramillo, blogger (follow her on Twitter). Sitting under a canopy of swaying palms and a starry sky alongside the shore of Pauoa Bay makes this en exquisite and romantic dining selection. Choose between the elegant covered dining room or beachside seating to experience what the Beach Tree calls “barefoot elegance”. This popular spot features a blend of Italian and Mediterranean cuisine with Californian and tropical influences. 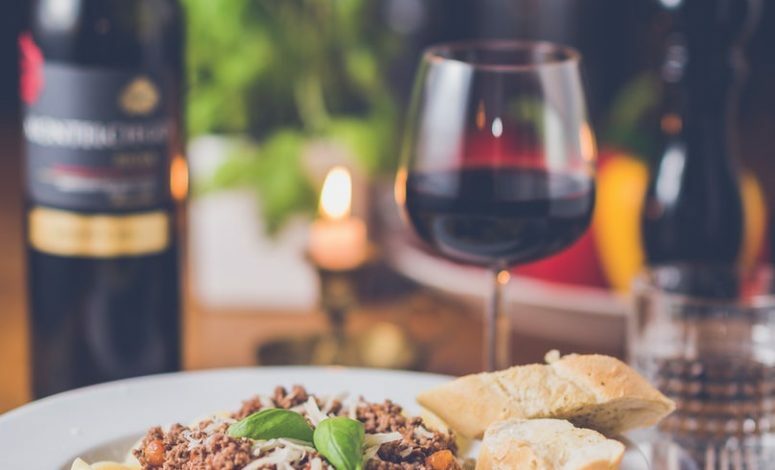 Savor dishes such as the house-made pappardelle with hamakua mushrooms and parmigiana cream or gnocchi with ox tail ragout and pair it with one of the 60+ wines offered. One of the unique factors of the Beach Tree is also the Dinner Under The Stars experience offered. This is ideal for a romantic dinner with your significant other or for an unforgettable family meal. Sink your toes into the sand while enjoying your expertly crafted cuisine under the Hawaiian night sky. Perfect for those who want a taste of an American steakhouse with a unique local flair. The Hualalai Grille serves classics like Prime steaks and local fish with twists on traditional sides. The grille is located along the famous Hualalai Golf Course and it evokes a contemporary club feel with the dark woods and views of the golf course and ocean. Chef de Cuisine, James Ebreo, is a true culinary artist born and raised on the Big Island. His signature dishes include a table side Chateubriand originating from the renowned Durham Ranch. For those seeking a unique take on the traditional American steakhouse, visiting the Hualalai Grille is a must. Register today and receive privately sourced information, including high-end in-pocket listings.